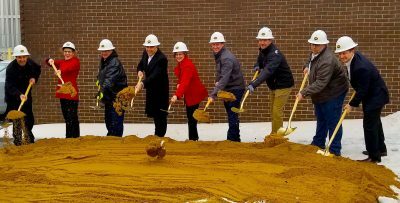 ​ City and Destination Medical Center (DMC) officials, development professionals, and members of the community gathered with developers PEG Companies (PEG) and EKN Development Group (EKN) on April 11 to break ground on the Rochester Hyatt House. This 172-room extended stay hotel is located on the former Legion site in downtown Rochester. Project leaders regard the property itself as a formative piece of Rochester’s history and paid special tribute to the American Legion, Post #92 – the land’s previous stewards – at the groundbreaking. This organization served the Mayo Brothers Veterans; Dr. William J. Mayo and Dr. Charles H. Mayo in the early 1900’s. 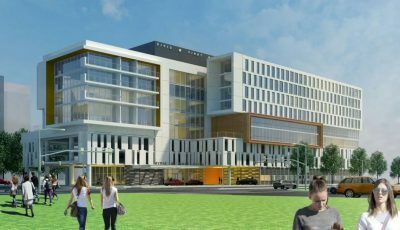 The Rochester Hyatt House is slated for completion in summer 2020. EKN Development wanted a way to honor and recognize the American Legion in Rochester, Minnesota. When the Rochester Hyatt House opens in summer 2020, it will display a special flag donated by the Rochester American Legion Wm. T. McCoy Post #92. 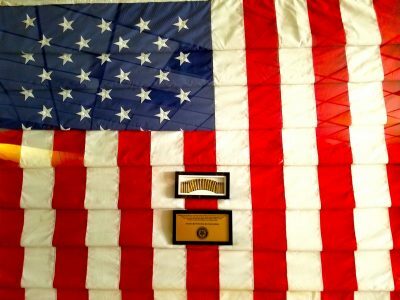 The flag was retired in a ceremony on January 15, 2019. During the ceremony, the Post’s Honor Guard fired rifles and a bugler played Taps for all its fallen members. The shell casings are the blanks that were fired.